North End, BostonI recently was in Boston for work, during rare and beautiful New England spring weather. I always liked Boston, but I fell in love with it on this trip. I even had a chance to drive by Brigham & Women's Hospital, where I was born. I loved seeing what my first view of the world was. From a Red Sox game at Fenway Park and visiting the JFK Museum to wandering around Cambridge & Harvard, Boston is a history nut & walker's dream. After walking the cobblestoned streets of Beacon Hill, a pre-dinner drink at The Liberty Hotel is a great place to relax. Trekking over to Boston's famous Flour Bakery for lunch is totally worth it, especially if you have kids to take to the wonderful Boston Children's Museum. And a Duck Tour is a fun way to get the lay of the land. Driving through Charlestown & thinking about The Town, one of my favorite movies. 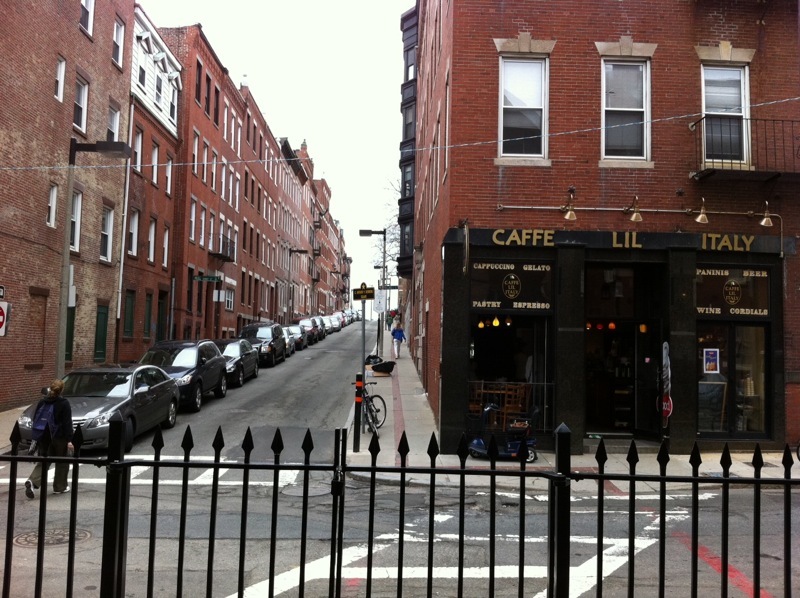 Hint: the bar where they hang out is Old Sully's at the corner of Union & Lynde-very dive-y!! Fenway Park--I'm a lifelong Yankees fan but Fenway Park won me over for its simplicity & perfect baseball ambiance. There's a great view of Fenway from the Prudential Center Skywalk. The JFK Presidential Museum & Library--I loved seeing Jackie Kennedy's yearbook photo where her ambition was "not to be a housewife" (below). And here's one more great view of the Charles River from the Prudential Center Skywalk.